Money – the less you have, the more you have to think about it. Getting by on a tight budget isn’t easy, but the more you can prepare your kids, the better (hopefully!) they’ll manage their money in later life. One of the first lessons we learn about money is this: you can’t spend it twice. So when your kids are old enough for pocket money, it’s a good time to tell them about the basics of budgeting. If you give it to them on the same day every week, they’ll know what to expect – and how long they have to make it last. That’s how much they can spend each day. If they spend nothing one day, they can spend twice as much the next day. The longer they save up, the more they’ll be able to spend on something they really want! If you think your own money skills could do with some work, these guides from debtadvisorycentre.co.uk could help you learn to budget and deal with debt better. When they get older, they’ll undoubtedly expect a bigger salary. There’s absolutely nothing wrong with that, as long as it comes with bigger responsibilities. You could make them responsible for buying their own clothes, for example, or toys, or things for their hobbies. It’s a great way to expand on a basic budget, since they’ll have to focus a lot more on the numbers in the ‘expenditure’ column. 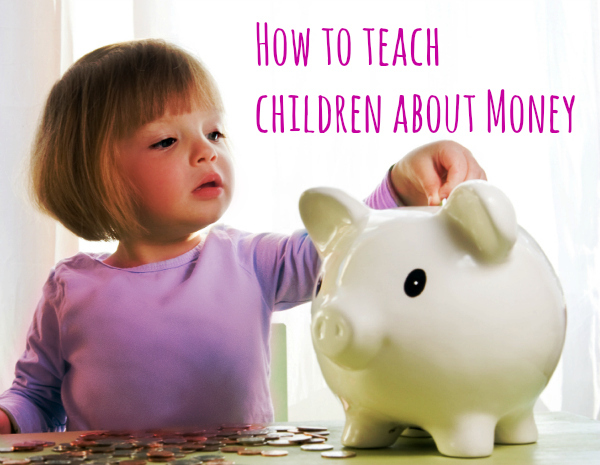 If they spend their pocket money right away, they’ll have nothing until the next payday. That’s a valuable lesson to learn. It’s up to you to be strict about this and resist mid-week calls for a top-up: it’s an unfortunate fact of life that real-world employers won’t cough up more cash just because you ask them to. Nobody knows your kids as well as you do, so don’t be put off by a game’s ‘suitable for ages X and up’. That’s just a recommendation. Your kids might be ahead of their peers – or you might find a bit of adult help is all they need to play games aimed at older kids. Plenty of five-year-olds, for instance, are perfect at home playing Monopoly. It’s a great way to teach them about counting, budgeting, haggling, planning ahead – skills they’ll need all the time when they’re grown up. And you don’t have to stick to Classic Monopoly. You’ll find Lord of the Rings Monopoly, Star Wars, My Little Pony, Power Rangers, football… Find a subject they’re really into and all that learning should come a lot more easily. When we’re young, just about everyone dreams of being rich when they grow up. Learning to budget is no magic formula for success, but it might help your kids go further in life. And it should certainly help them get more out of their income – even if they’re not earning millions by the time they’re your age. Money Management skills are so important, I can never understand why they don't teach this at school. Great post.